Kaylee Baldwin: Win By Love or By Sea! Win By Love or By Sea! 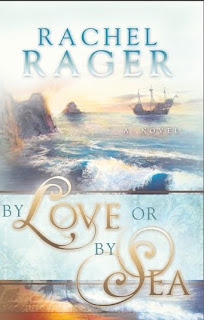 I am a part of a blog tour for Rachel Rager's new book By Love or By Sea. Starting September 28 there will be daily blog reviews and author interviews for Rachel Rager's By Love or By Sea. If you leave a comment on my review or become a follower on Rachel's blog http://rachelrager.blogspot.com/ you will be entered into a drawing to win an autographed copy of her book. You can comment on more than one review and become a follower of her blog and be entered into the drawing multiple times. Make sure you check out my review and interview with Rachel Rager on the 29th and make a comment to win her book!